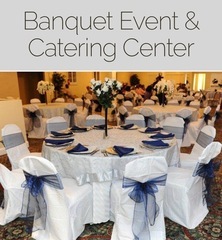 M21816 A suburban MD banquet facility has closed and is liquidating all assets, including chairs, tables, china, serving pieces, kitchen equipment, linens, and much more! AUCTION CLOSING DATE: Wednesday, July 25th, beginning at 1:07 pm. Bidding closes on the first item at 1:07 pm, then closes at the rate discussed in these Terms and Conditions of Sale.